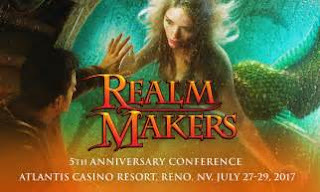 This past weekend, I had the wonderful opportunity to attend Realm Makers. I met old and new friends and learned some more about writing to help me with my craft. While Ted Dekker gave an inspiring opening keynote message, my biggest takeaway came from the smaller sessions. 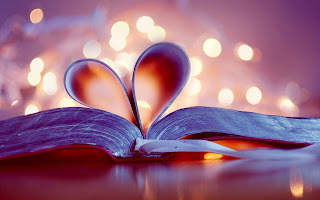 Mary Weber (author of The Storm Siren Trilogy and The Evaporation of Sofi Snow) and James Rubart (author of Rooms, Book of Days, and Spirit Bridge, among others) presented an excellent series on "Heroes, Villains, and the Heart of Your Story." This series covered so much fantastic, in-depth material, I made copious notes on all of it. David Farland's session on "Plotting a Best-Selling Series" focused on a common variation of Freytag's Triangle with three attempts by the hero before the climax of the story. This, as well as the other information, was stellar, and my hand cramped while I tried to get all of it down. Mary Weber's session titled "Networking Beyond Your Mom" wasn't full of tips and techniques. Instead, it focused on creating relationships with others, not because of what they can do for you, but because they matter. No matter where we are in our journey, we sometimes forget that. The push for a bigger platform and higher numbers makes us forget what the numbers are. They're people, and they don't like feeling used anymore than we do. My favorite quote? "Networking is not meeting the twenty people in the room who'll barely remember your name. It's meeting the one person whose heart will feel remembered by you." Friday night was the Awards Gala. A lot of people showed up in their best cosplay costume (I went as The Black Canary) and we dined on steak, crab cakes, and cheesecake for dessert. The award winners are listed on Speculative Faith website here. Although there was a big Nerf game/war afterward, I had to be up at 4 AM to catch a 6 AM flight -- I sadly had to miss it this year. After reviewing all the sessions I attended and the new friends I made, I realized it will take awhile to unpack all the information stuffed in my brain. But the overwhelming theme I experienced at Realm Makers 2017 was love. That might sound vague. Sometimes we're so focused on the craft of writing we forget the love that is a part of it -- love for our Creator, love of storytelling, and specifically the love for others we should be carrying wherever we go. I can't recommend the Realm Makers conference enough. If you can afford only one conference next year, pick this one. It's well worth it. Thank you so much for sharing this, Jill! I was so sad to miss out this year but it's fun hearing about all the speakers! We missed you this year, Laurie! :-( Maybe next year!